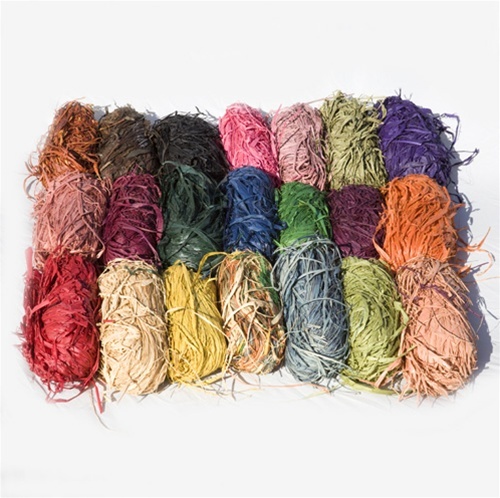 We carry the finest quality imported raffia, fireproofed and wrapped in cellophane. Each package weighs approximately 12 oz. Available in a variety of colors: natural, golden brown, black, orange, yellow, medium brown, emerald green, seafoam green, hunter green, wine, purple, harbor blue, country blue, mauve, peach, pink, burgundy, cerise, olive green, red, and multi-colored.